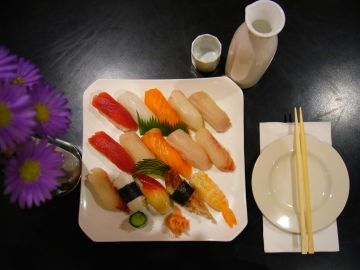 Chef’s selection of 12 pieces of nigiri sushi. 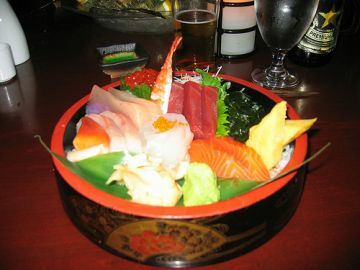 Chef’s selection of 15 pieces of sashimi and rice. Chef’s selection of 22 pieces of sashimi and rice. Chef’s selection of 26 pieces of sashimi and rice. Assorted fresh fish & vegetables over a bed of sushi rice. Broiled fresh water eel served with Japanese pickles on a bed of rice. California maki, Idaho maki, tekka maki. California maki, New York maki, Boston maki. 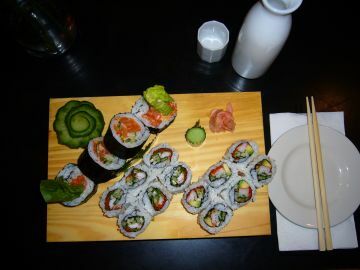 Veggie maki, spinach maki, Avo-kyu maki. 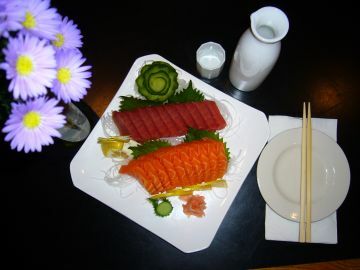 10 pieces each of tuna, salmon sashimi and rice. 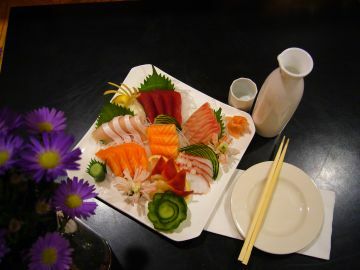 Chef’s choice of 6 pieces of sushi, 15 pieces of sashimi and California maki. 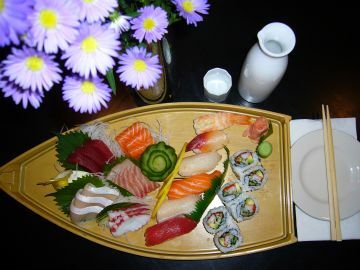 Chef’s choice of 12 pieces of sushi, California maki and Idaho maki. 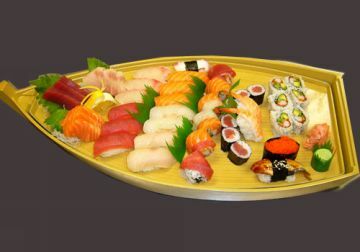 Chef’s choice of 22 pieces of sushi, California maki and tekka maki. 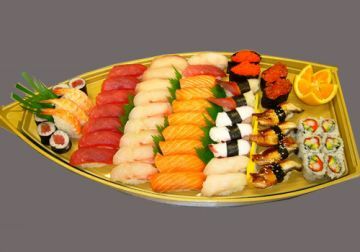 Chef’s choice of 18 pieces of sushi, 9 pieces of sashimi, and California maki, rainbow maki, tekka maki. Chef’s choice of 44 pieces of sushi, California maki, & tekka maki.
" Please no substitutions on deluxe and combo dinners"